Commercial fridges and refrigeration including Caravell Spares, Frost Tech, Scanfrost Refrigeration, AHT Refrigeration, Spare Parts Stocked Wholesale and Trade. BIG SAVINGS on Caravell, AHT, Scanfrost, Inomak, Infrico, Blizzard & Frost Tech Refrigeration Equipment and Spare Parts. We supply all Spare Parts for all types of Commercial Refrigeration, Catering Equipment, Caravell Refrigeration & AHT Refrigeration Equipment. Call us for all your catering & refrigeration spare parts. Quality and absolute reliability with nationwide coverage, you can’t afford to go anywhere else! 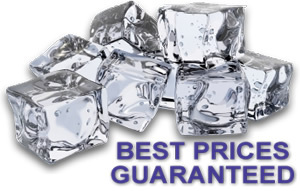 Refrigeration Price Promise: You won't find any product (with the same premium service & after sales technical support) cheaper. Call us now for all your refrigeration supplies and refrigeration spare parts needs. Terms & Conditions Partners: Catering Box | Mister Chill | Keg Coolers | Magnum Bar | Frost Tech | Bar Fridge | ABC Direct .